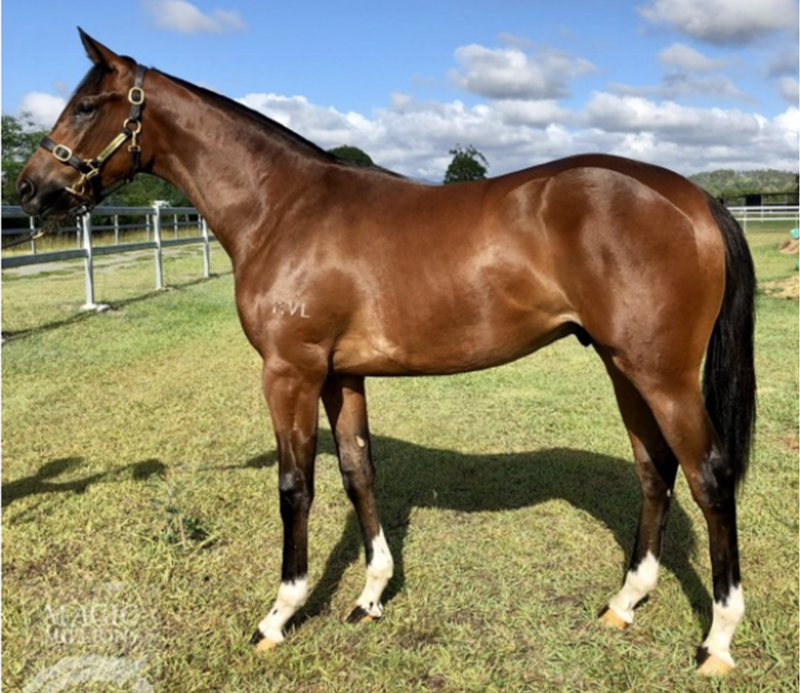 A 2019 Magic Millions purchase, this athletic colt is by the 2013/14 NZ horse of the year and G1 Queen Elizabeth Stakes winner DUNDEEL (by High Chaparral). 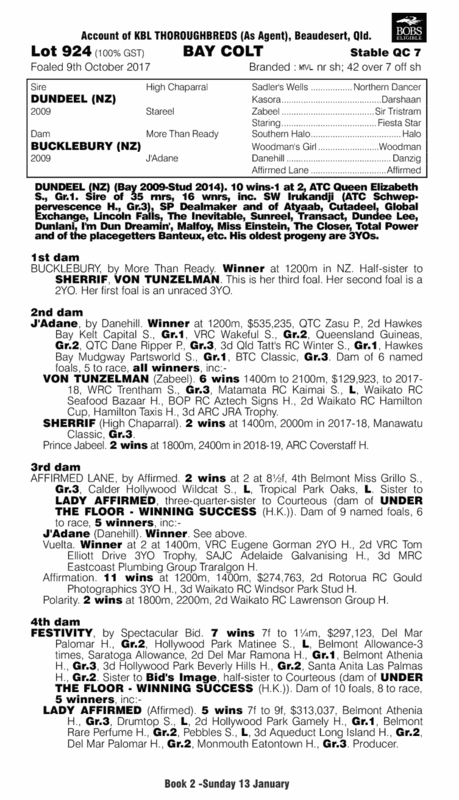 His dam BUCKLEBURY is a daughter of More Than Ready and has won over 1200m in New Zealand and she is a half sister to Stakeswinners SHERRIF and TUNELMAN. Out of a sibling to PRINCE JABEEL (2013.g. by Savabeel-J'Adane, by Danehill-Affirmed Lane). From the same family as Mr Dujardin (2014.g. by High Chaparral-Affirmed Lane, by Affirmed-Festivity).